What's this? A ~shampoo and conditioner~ review? On a ~makeup~ blog? And that too, only a sample? Fear not, I have not lost leave of my senses! 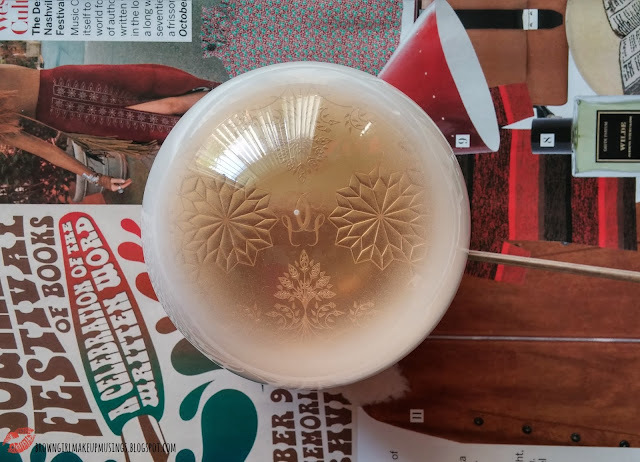 The reason for this review is because I've always been curious about Bumble and Bumble products. Their surf spray is a classic for beachy waves (not that I've tried it) and, well, for a company that's supposed to specialize in hair products, when I got a sample, of course I had to try it out and let you folks know what the word is. I have (or rather, had - as you might be able to make out from the empty sachets!) 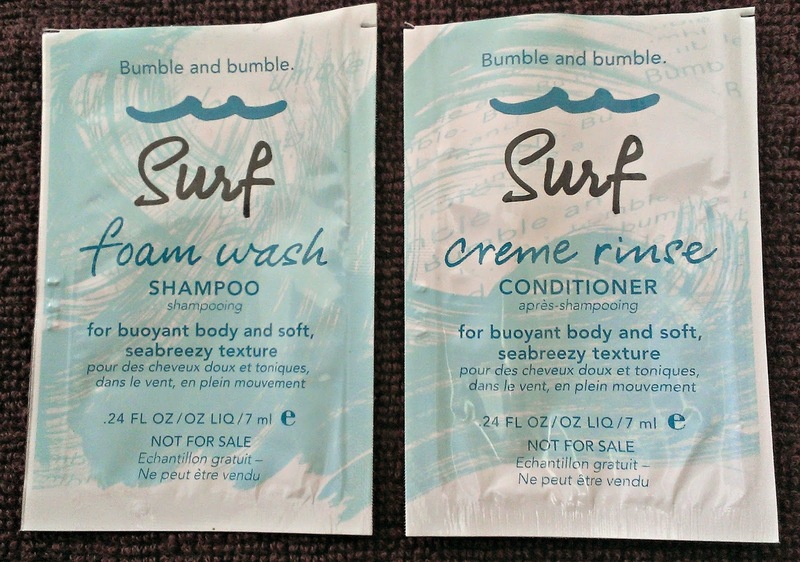 samples of the Surf Foam Wash Shampoo and the Surf Creme Rinse Conditioner. A note on my hair - I have fairly long hair that's been through not very much - however my ends are in pretty bad shape, chock full of split ends and the remnants of that time I highlighted my hair (yes, I know I'm supposed to cut off my split ends, but I'm too attached to my hair). This presents a problem, as my roots are oily but my ends would put the Sahara Desert to shame. So I'm always looking for a gentle and effective shampoo (get all the products I use out of my hair, dangit!) and a very nicely moisturizing conditioner (primarily for the ends). 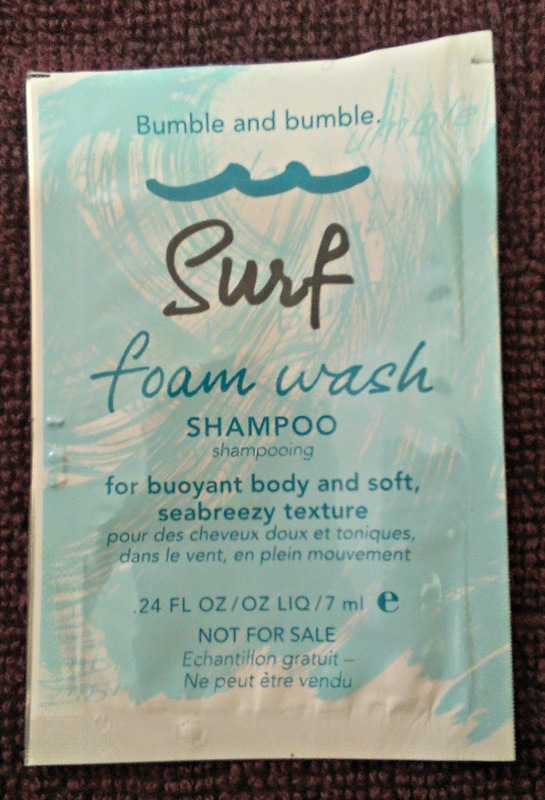 The Surf Foam Wash shampoo is a light bluish clear liquid, and wasn't overly scented. It had a very fresh, pleasant, clean smell that didn't linger on my hair once I'd washed it off. The shampoo itself.. well, as I was trying to lather it into my hair I kept yelling at it (mentally, of course) to work. It didn't lather fully, and didn't feel like it was cleaning my hair as well as I was expecting it to. My hair didn't feel completely stripped out after using it, though, so that's a bonus point. 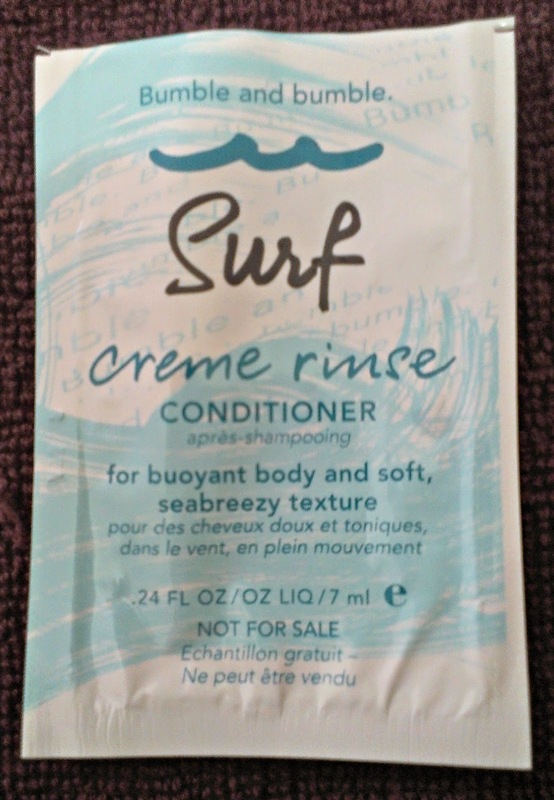 The Surf Creme Rinse conditioner looks like every other conditioner I've ever used - a white, cream-y, uhhh liquid? (are conditioners liquid? I've never thought about it...). Like the shampoo, it has a non-overwhelming clean, pleasant scent that doesn't linger. It's one of the runnier conditioner formulas I've used, and didn't feel very moisturizing (as compared to, say, my Dove Hot Oil conditioner). I came out of the shower thinking that these two were complete duds. But once I let my hair dry I partially changed my mind. Sure, it's not the most moisturizing formula I've used, but the shampoo did actually clean out my hair without removing all moisture, and the conditioner (the more disappointing of the two) wasn't the most terrible formula I've used. My hair feels soft, and unfortunately this formula did not eliminate frizziness completely but I feel it did reduce it somewhat. However these are supposed give you "buoyant body and soft, seabreezy texture" and in that aspect, it failed. My hair is not seabreezy! I'm not going to be getting full-size versions of these ones, but I'm still curious about their surf spray! I always wanted to try this, I have your kind of hair, oily at the roots and dry at the ends. Its much better now though, once I've cut it off. Also, have you tried this reverse shampooing? Really works. Really? I admit I've been quite skeptical about it - from a science point of view it makes no sense! - but I guess I'll have to give it a try! 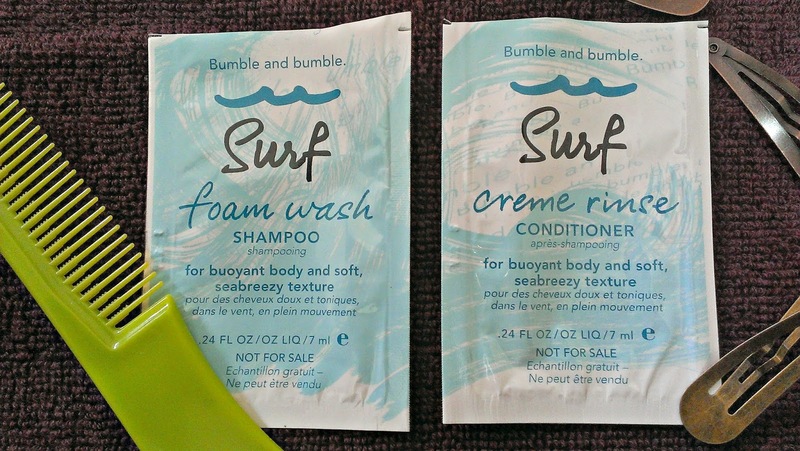 I've only tried B&B's surf spray, but I liked that a lot and I can vouch for it!